Hi there! 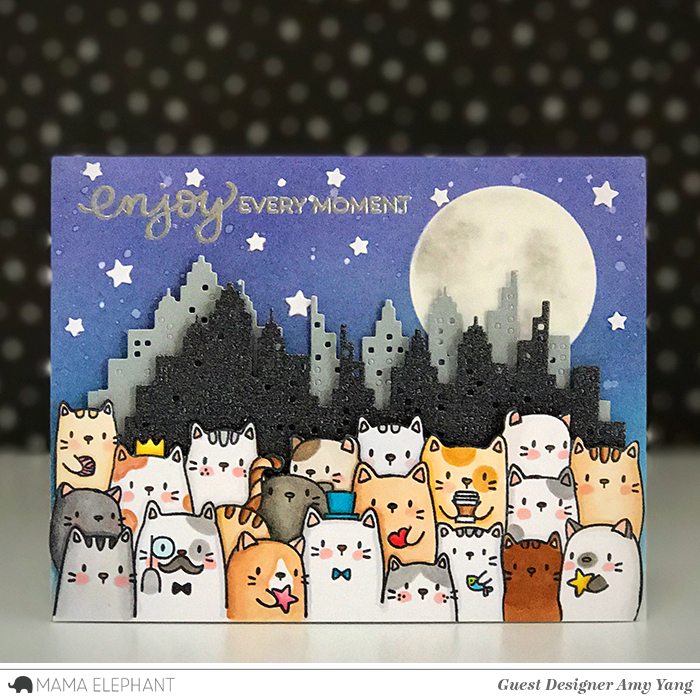 Today we are on day 3 of Stamp Highlights with The Cat's Meow! What a cute bunch! Laura added party hats & balloons with a sentiment from Girlfriends. Amy made a card with the cast from the Broadway Show, CATs! Just Kitt'en! Anna made a CAS card by only using the small individual kitties! Such a sweet job. 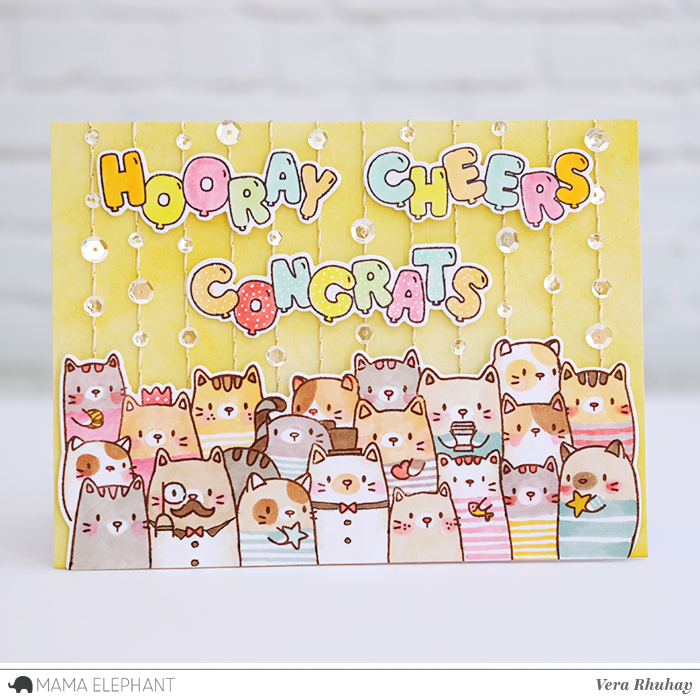 We love how Deasy made a congratulatory card by combining the Cat's Meow set with Celebration Balloons stamp set. Nichol combined The Cat's Meow large image with a balloon greeting and individual balloons from the Celebrations Balloons Stamp Set. What a huge gang! 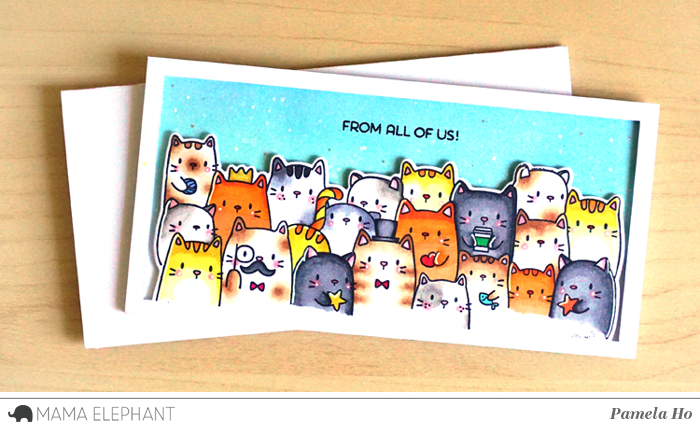 We love the different way Pamela coloured each little kitty! 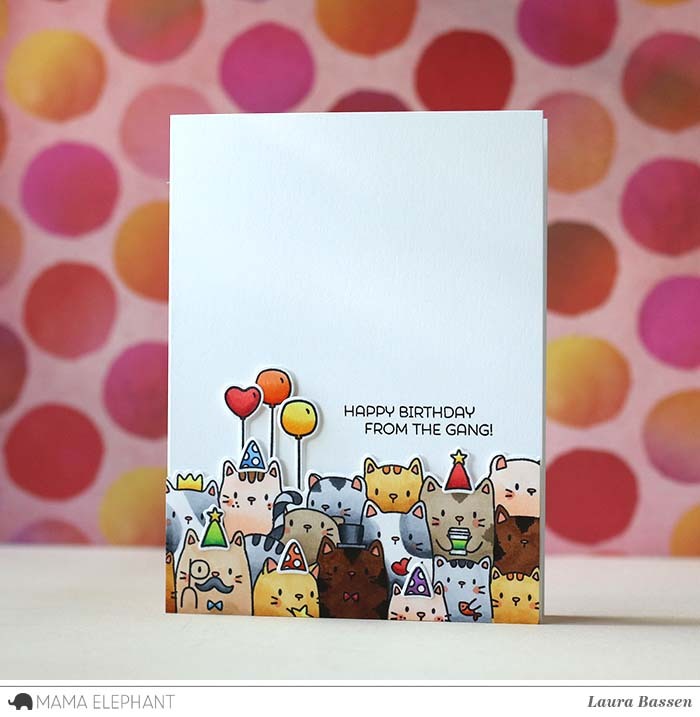 We love the cheerful card by Vera! She combined The Cat's Meow and Celebration Balloons! Those are just adorable! I love the ways the kitties were colored and I need these little guys. That crowd of cats is so cute. So many ways it can be used. 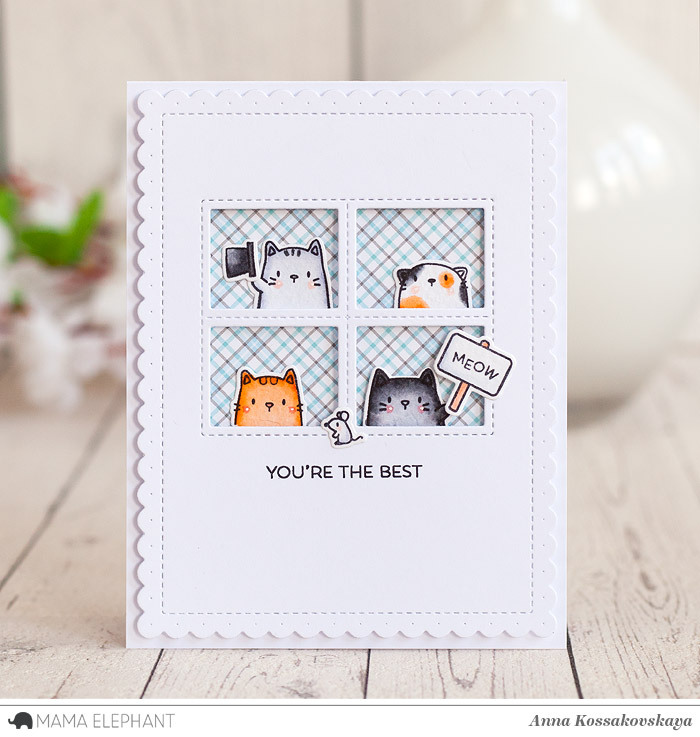 This is such a cute stamp set, especially if you are a cat momma (like me). 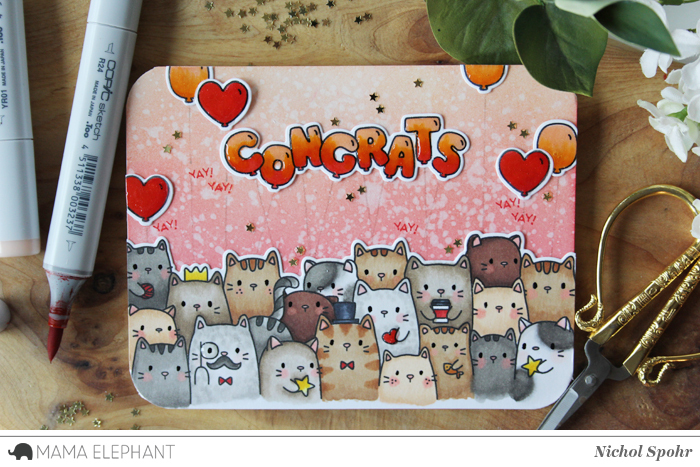 Oh my gosh; I thought I didn't needed another stamp set with cats but I am really feeling the need for this one! Just got this stamp the other day, LOVING it!!! Great job ladies! I can hardly handle the cuteness!!! Love this stamp/die set and all of these beautiful projects! This is just so cute and I suppose the dogs will be next and I'll need that one too. I liked all of the cards, but the background on Vera's card is INCREDIBLE! First time I've seen anything like it and it is just SO cool.